It is Christmas Eve and festivities are underway. Clara (Vanessa Sharp) eagerly awaits the arrival of her godfather (Hugh Bigney) who always brings with him the most exciting gifts and toys. She is captivated by a beautiful castle, complete with dancing dolls inside. But what most intrigues her is a wooden nutcracker prince, which she returns to inspect after the party has ended and which sends her into a dream world. 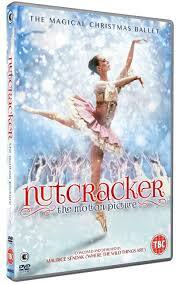 This 1986 production by the Pacific Northwest Ballet and staged amidst a wonderful Maurice Sendak designed set, comes to DVD for the first time this Christmas, making Tchaikovsky’s classic accessible to fans across the world. Narration by the older Clara, who is recounting the dream that she had, provides an insightful analysis into the rationale behind the dream and its characters – a clever technique used by Ballard. The dream sequence moves at pace and builds with a dizzying flurry of performances, each with their own distinct identity. The costuming deserves special mention in supporting this, with a broad range of colours and textures used to complement the narrative. The set design is also wonderful; a particular highlight is when the waves of the sea are brought to life with moving set pieces and a boat, carrying Clara and the Nutcracker, crosses the water. 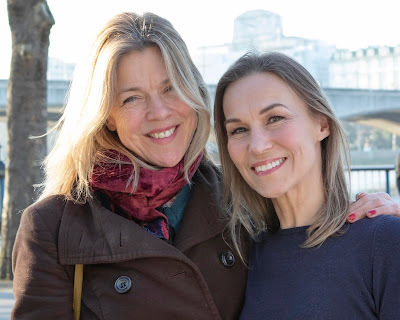 What makes the Nutcracker particularly memorable is that the dark undertones of the story – such as the nature of the relationship between Clara and her godfather, Clara and her brother, and Clara’s parents – are explored in this production. They are also nicely introduced at the very beginning of the film, when a sense of foreboding is made clear to the audience from the outset. Dance highlights include the Peacock’s Dance (Maia Rosal), the Waltz of the Flowers (including a stellar performance by Lucinda Hughey) and the Dance of the Snowflakes, complete with snow. Performances by Patricia Barker – playing the dream Clara and the ballerina doll – and the Nutcracker Prince (Wade Walthall) are also excellent. The production certainly utilises some of the best film techniques that were available at the time, but given technology’s advance, today’s wired young viewers may possibly expect a little more.